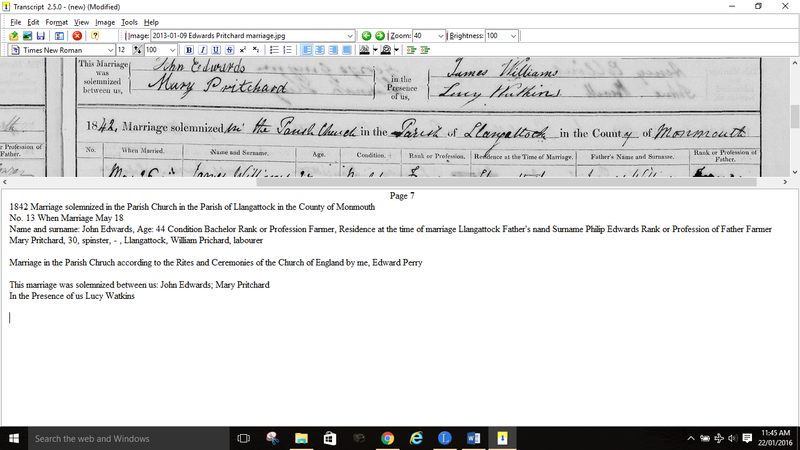 Linda Stufflebeam on her Empty Branches on the Family Tree blog wrote the post “Try Transcribe 2.5 to Transcribe Old Documents”. 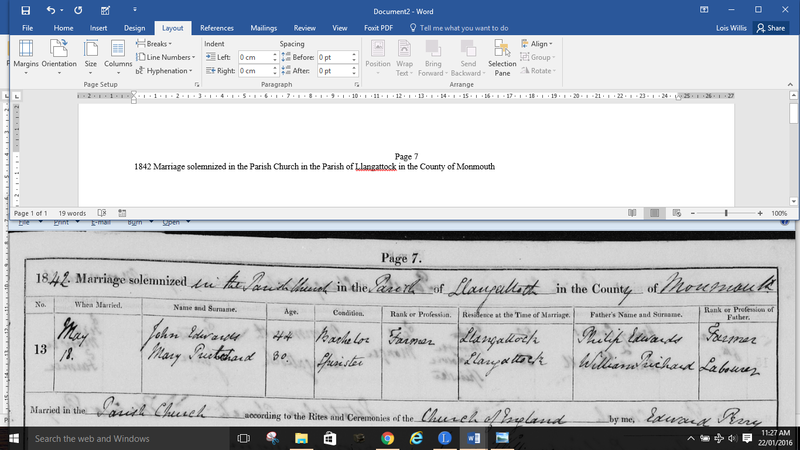 For a long time, I have been switching back and forwards between the image and my word processor, but then I realized that if I tile the windows of my Picture Viewer and my Word Processor, this makes it much easier and quicker to transcribe documents. Once I have typed as much as I can see of the original image, I can then go into the Picture Viewer, and scroll down to the next section of the document. I decided to try Transcript 2.5 to see if this made it any easier. I quickly discovered that I prefer to use my current system, as I have much more options of formatting my transcriptions when I use Microsoft Word, rather than Transcript 2.5. 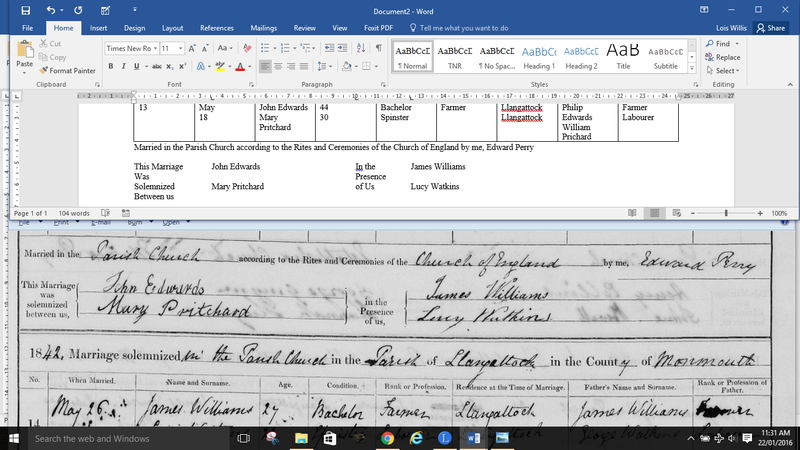 In Transcript 2.5, I can’t set up tables, and for this particular document, it is much easier to set up the information in a table. Also, although Transcript 2.5 uses Tabs, you can’t adjust them. Another drawback with Transcript 2.5 is that you can only use image files – it doesn’t have an option to work with PDF files. I did like the fact that as you work your way down in the transcription section, the image automatically scrolls down as well.